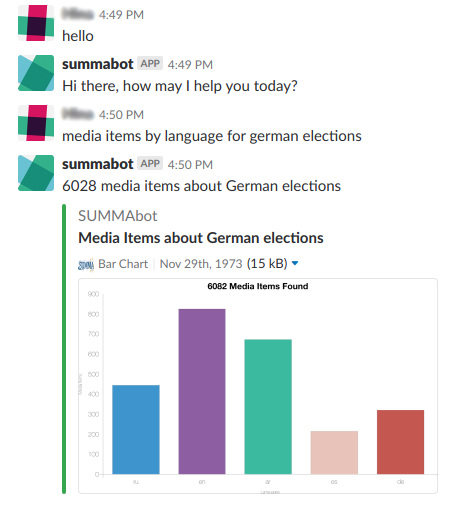 Deutsche Welle developed a slackbot as a tool for journalists during the SUMMA hackathon in London on 21-22 November 2017. 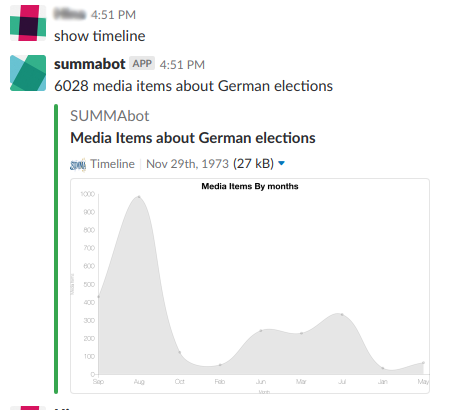 The slackbot is an alert system as well as a research tool. Through the bot, journalists can explore Deutsche Welle content in various languages. It uses machine translation, summarization and clustering modules of SUMMA. 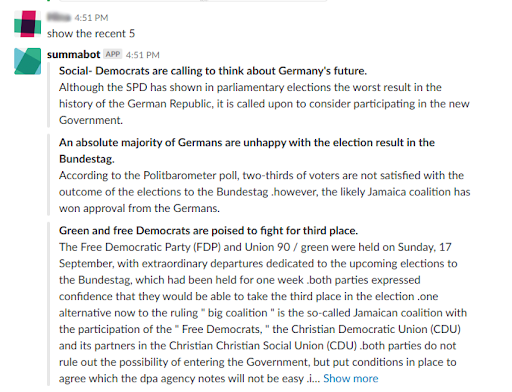 In the example below it gives news items it could find in the SUMMA system about German elections. 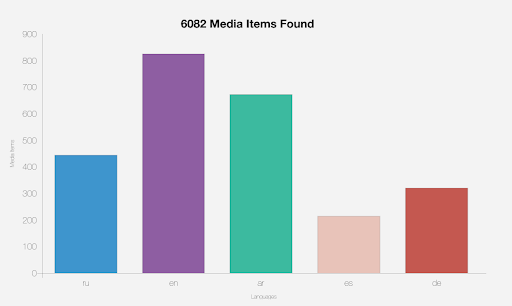 It then creates a bar chart showing media items by language. In the example below, it shows the number of media items that were published during the last months about the same topic. In the example below the bot gives latest news items translated from the original language in English by SUMMA.